This is the product of two weeks of work on a self made Champion Design Challenge for Battlerite. COMPLETE WITH ONLINE LEADERBOARDS! My Goal: Create a ranged champion for Battlerite that is balanced statistically, using data from other champions in the game. 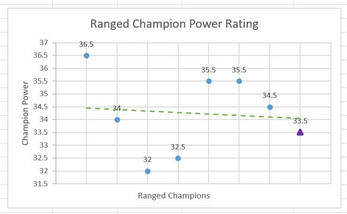 The champion’s abilities should provide a unique and more diverse direction for the game, while also being familiar and fitting in with the games current state of mechanics. 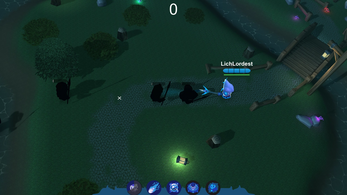 Unfortunately for a two week prototype I did not have the time to implement the Battlerite energy system that adds a lot of complexity to the game. But I still concerted the abilities that would use energy. Ice Shard applies Frost. Frost slows the enemy by 10% for 6 seconds. Consumes Frost dealing 8 bonus damage, and inflicting a Fading Snare for 1.5s to enemies hit. Airtime .8s – Applies frost to surrounding destination. Inflicts a 15% snare for 1s. Consumes Frost to knockback targets. Shield an ally negating 1 harmful ability. Become immaterial for 2 Seconds, after 2 seconds have passed deal 50 damage to nearby enemies, while inflicting Frost. Consumes Frost dealing 8 bonus damage, and knocking back targets. Inflicts a Fading Snare for 1.5s to enemies hit. Due to the scope of this two-week project. I did not allocate time to concept Battlerites as I would not be using them in the playable prototype. Pretty much the first thing I did was collect data. I hopped into Battlerite and tried every Ranged Champion ability, marking down every available stat, and approximating for non-text learned mechanics as well. After I had a sufficient amount of data I began to rank each ability based on a few different metrics like DPS, Utility, Maximum Damage, and Overall Value. Making sure that each ability was properly represented by the chosen metric system. 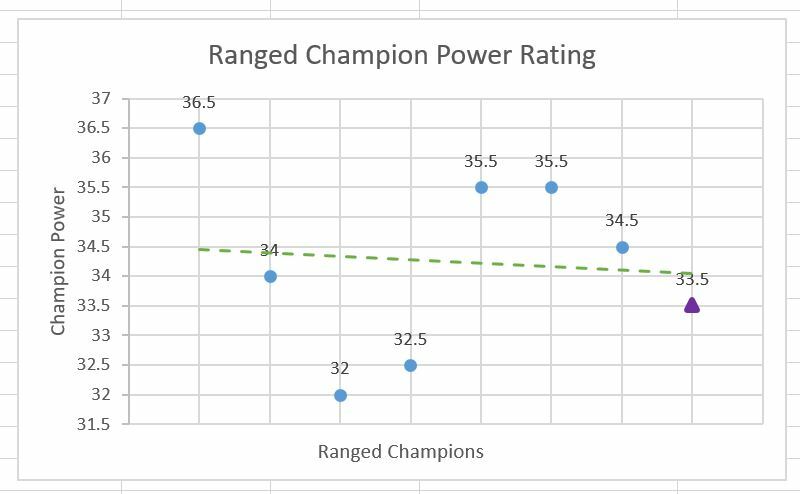 Eventually coming together to form a overall Power Rating for Ranged Champions in Battlerite. After I had all the metrics for the default characters, I designed my new abilities to align with the overall average power level of it's target ability slot. I toned some abilities down to make sure I was below the overall power curve. It's more fun to give than take'th away, (atleast at first)! --- After I had done the initial ability concepting it was much easier to create the task list for how I would code the game... err Design Challenge Prototype!